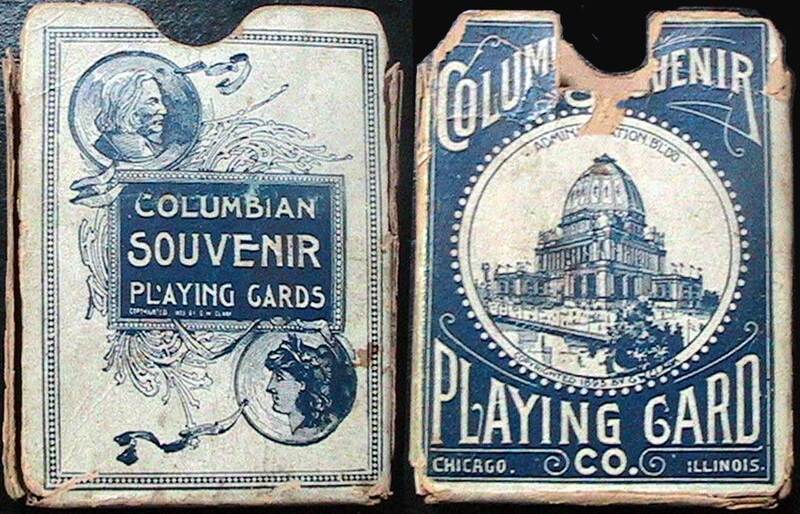 Columbian Exposition Souvenir playing cards, copyrighted by G.W. Clark, Chicago, 1893. 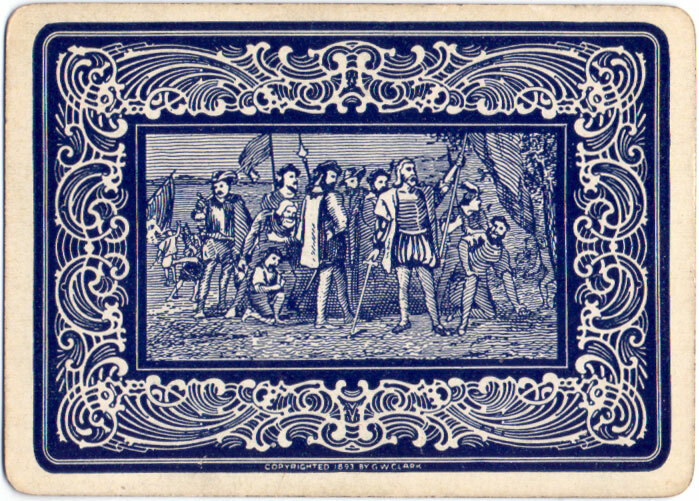 The reverse depicts the Landing of Columbus in an ornamental frame, whilst all the face cards feature coloured sketches of the fair with miniature playing cards in the upper-left and lower-right corners serving as indices, with the value of the card shown at the top and bottom. Above: Columbian Exposition Souvenir playing cards, G.W. Clark, Chicago, 1893. The joker shows two medallions and the words "Columbian Souvenir Playing Cards".